I have begun the practice of painting one piece per day for adding to my Etsy shop. This is my first one and it did take me an entire day. 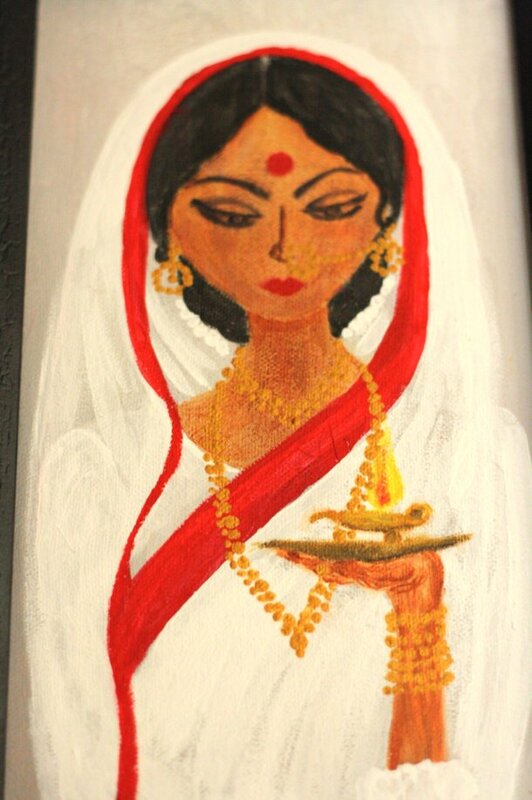 She is a traditional bengali bride in red and white saree adorned in gold ornaments with an oil lamp in her hands. 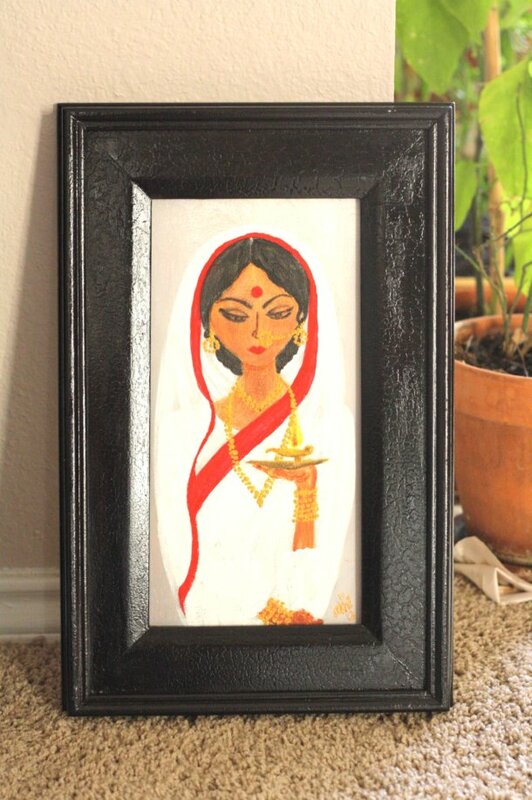 I have also framed it in black. I have started working on another bride, which I will be posting soon. Enjoy!